Lay the donuts Right Sides Together, with the cuts lined up. 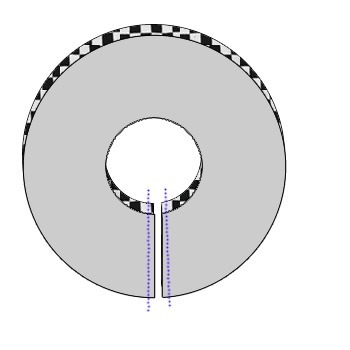 Sew the donuts together as indicated by the purple dotted line. You will wind up with a very full and flouncy circle skirt. Cut the center “waist” hole out of your fabric, but leave the edges square. 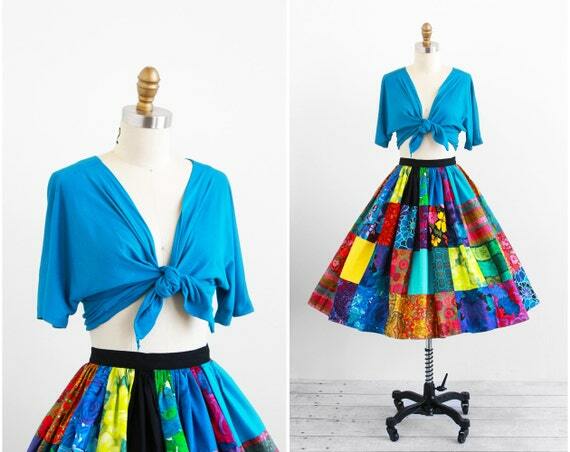 Now you have a classic hanky hem skirt! This is a good one if you’re in a hurry, because it’s one less step. You can cut several of these squares out and layer them around the hem for a different look. Try cutting the a top layer out of a sheer fabric and layer it over something opaque! For a full step-by-step tutorial for a pixie skirt, click here. This is a combination of variations 1 and 2, and it might be my favorite circle skirt variation. Cut two squares, each having a circumference half of what you want the total to be. Cut them open, sew them together, and you’ve got a very swishy pixie skirt. Instead of centering the “waist” hole, cut it off-center. You could do 1 layer like this, and it looks especially nice if you make the back much longer than the front. It has a cool hi-lo cascading effect.Or you can do 2 or more wonky donuts and layer them over one another. Thanks so much for the tutorials! Do you know how to do a 3/4 circle skirt? For the first one, where you say “Cut the donuts open and sew them together”, how do you sew them together, so where do you sew? Silly me, I made the cut lines white so they don’t show up very well… They’re at the bottom center of each donut, if you look closely, though. I just keep coming back to circle skirts because they’re so simple! I made a skirt once that was the equivalent of a quadruple circle skirt… it really is an awesome effect! Love all your tutorials. Thanks a ton for sharing. 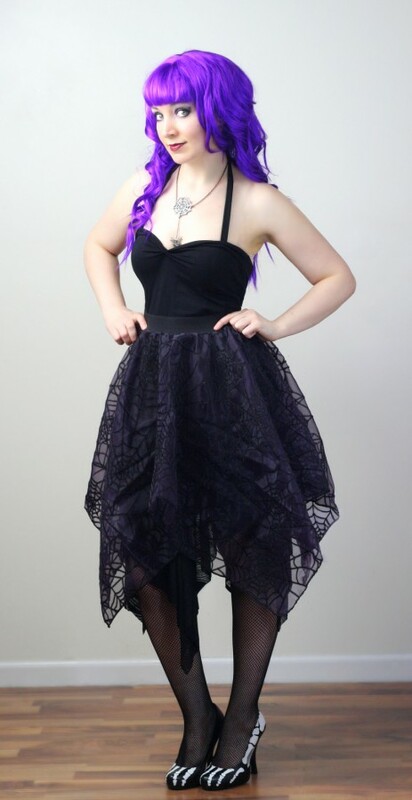 It is a full circle skirt, but when laid out it looks like a spider web almost. It has eight cutouts around the outside of the skirt (almost like the creator used a plate to trace and cut out eight times). I would use knit fabric and not hem it. Not sure I am giving you enough info. I will be attaching it to a tee to create a dress. Do you have a picture or maybe a sketch? I’m having a hard time picturing it in my head! I will say from the description, I would worry about doing any sort of large cut out on the skirt, unless the skirt is going to be sewn to an underlayer. A large cut on any skirt is likely going to sag (or maybe that’s the intent??). Thank you for your response. I was pretty sure you were going to need a picture. I messaged you on What The Craft FB Page. It might be in your other folder. Thanks so much. When it hangs it looks similar to a hankercheif skirt, but without all the work of sewing the panels together. I though this would be easy, but HA HA on me, I did the measure as you said to make a circle shirt but it still looks to big. I am trying to get a 36″ waist. 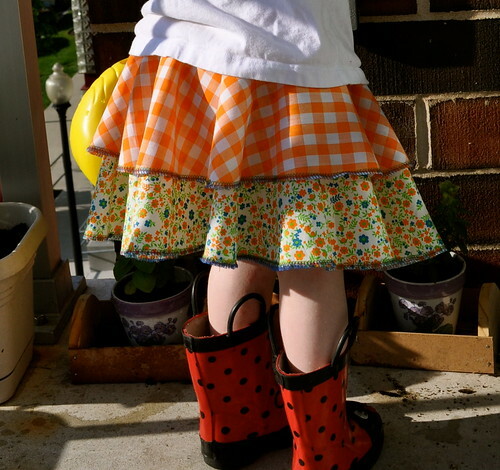 HELP Mary B.
Hello WTC, Sorry to be so thick but I want to make this super flared skirt for my 4year old grandaughter who loves twirling about, but I can’t see how I measure the hole in the donut for her waist? Maybe I missed that part… but say for example her waist is 20″, what size would i cut the hole? I know. I am stupid. I was going to start with a very tiny hole and keep adjusting. I will do that if I dan’t get a reply from you. Warm regards. Linda. Have you seen the first part of the tutorial for the circle skirt? That page explains how to calculate all of the measurements. But essentially, for a 20″ waist you want a 20″ hole, though I generally recommend cutting the hole about 2-4 inches smaller, as it will stretch. So I would start with a 16″ hole and adjust from there, as needed. I enjoy your website and your clear explanations. I am going to make a circular skirt, however it needs to be 41 inches long, but with the material I have, because it doesn’t make a perfect square, I have to cut and sew it to make a square. Do you have any recommendations? I’m trying to make a long skirt for a Reneissance faire. Do you have any suggestions? Once you have the paper pattern, fold it in half. It should look like a big flat donut that has been cut in half. Cut two “half donuts” from your fabric. Make sure to add seam allowances to the sides of each half. Sew the halves together and you’ve got a full circle skirt. If the “half donut” is still too long for you fabric, fold it in half again to make a “quarter donut”. The process is the same- cut 4 pieces, making sure to add seam allowances to the sides, and then sew them together. I’m a few years behind, but fantastic tutorials! Thanks for all the great ideas! What if want to make a multi tiered circular skirt. So graduating larger circles or rows of different fabric and still get the circular skirt look? Any ideas? As I still can’t wrap my head round it. Hoping you can help. If you want multiple tiers with separate layers (like this), you would make two separate “donuts” with different lengths. 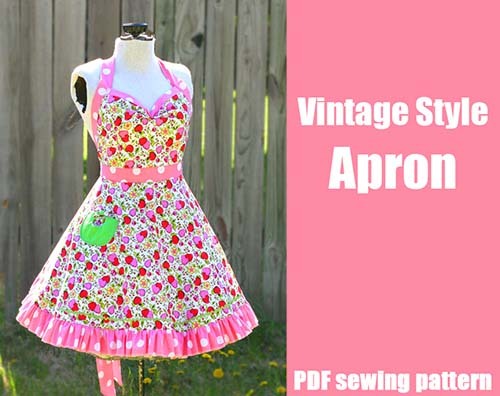 If you want something more like a circle skirt version of a patchwork peasant/boho/gypsy skirt (like this), the easiest way to go about it would be to make a paper template of the skirt first. Then divide the template into the tiers. Cut each tier apart and use that as your pattern guide, but make sure you add seam allowances between each tier (and each patch, if you divide the tiers into blocks). Ok. I have the concept of a circle skirt down pat. Next up is to try a double circle skirt and that looks really straight forward. What I’d like to get clarification is the variation #4 when you say cut the donut hole off centre-HOW? 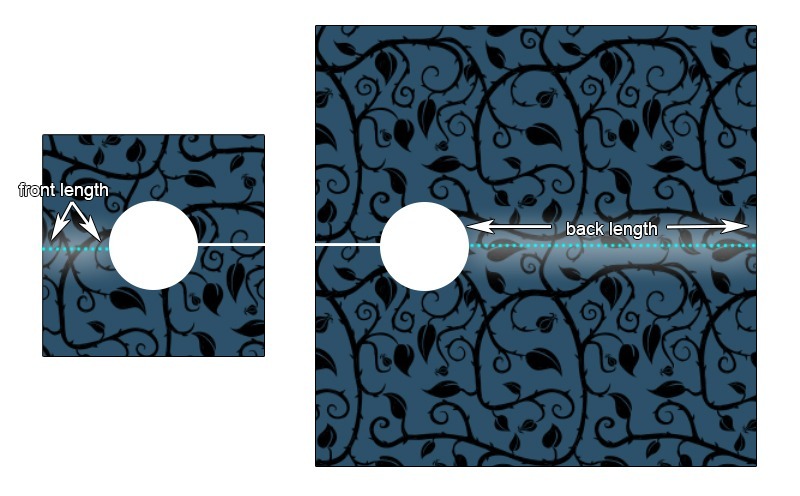 I would suggest drafting the skirt pattern with two hem lengths- the “front length” and the two-inches-longer “back length.” It would be easiest to draft and cut if you only fold the fabric once, so you’ll need to draft a “half circle” pattern instead of a “quarter circle” pattern like I show in most of the examples. The blue dotted line is the “front length”. The red dotted line is the “back length”. You want to draw a new line (the solid green line above) starting at the front length in front (obviously), and sloping out to meet the back length in back. Ok that’s just brilliant. Makes perfect sense-Im a visual learner so the diagram is perfect. Thank you so much. Isn’t it awesome that a blog post from 6 years ago is still helping people? I love the interwebs! I’ve searched for, but not found, another variation of the circle that you might be able to help with, please. My sister in law had one with fitted waistband, fitted section down about 6″ and the circle sitting on that hipline section. Make sense? Sorry I don’t have a photo, she had the skirt many years ago and I always loved it. To create a drop-waist circle skirt, you’d make the fitted top portion of the skirt (called a ‘yoke’) first- I usually add a zipper to this section. Measure around the bottom of the yoke. 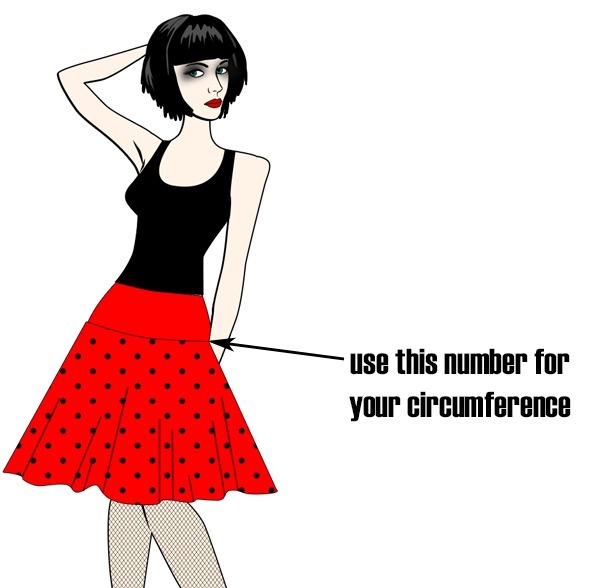 That’s the number you use for the “waist” hole of the circle skirt. I was wondering if I could possibly combine variations 3 and 4. I wanted to have a nice swooshy pixie skirt, but with a high-low effect. I’ve never tried that combination, but it’s worth a try! I’m not sure what the best way to go about it would be, but this would be how I’d attempt it. Cut the first “variation 3” square to match the desired length for the front of the skirt. I would cut this square with the waist hole centered. The second square would be larger (you’d have to do some math/experimentation depending on how long you want the back of the skirt), but the waist hole would be off center (as shown in variation 4). Each waist hole is half of your waist measurement, of course. If you try it, I’d love to see how it turns out! Your helpful instructions are such a God send! I’m new to sewing but you’ve taught me so much. I’ve a query on your variations 1&3:You simply halved the circumference.But when joining the 2 circles/squares,some of the circumference will be used up to make the seam. After joining won’t the total circumference be smaller than 36 inches?Is it because of the bias effect you explained that you don’t need to factor in seam allowance? Actually I am trying to apply what I learned from you to a 4circle skirt that is shorter in front & longer in front (2 circles in front,2 behind).So each pattern piece is a spiral. I originally calculated the radius of each piece based on 1/4 of the hip measurement(as the circles are at the hip,not waist).But then I realised I need seam allowance to ensure that after the 4 pieces are joined,they’ll be exactly the right dimension to join to the hip. I’m using good quality lycra so the bias effect is negligible.Should I add seam allowance for 2 sides to each of the 4 pieces by adding them to the 1/4 hip measurement before calculating the radius? Your helpful instructions are such a God-send!I’m new to sewing but you’ve taught me so much. I’ve a query on your variations1&3.You simply halved the circumference.But when joining the 2 circle/squares,some of the circumference will be used up to make the seam.After joining,won’t the2circumferences be smaller than 36” in total?Did you not factor in seam allowance because of the ‘bias cut’ effect you explained? Actually I’m trying to apply what I learnt from you to a drop waist 4circle fishtail skirt(it’s a costume).So there’re2circles in front,2behind-I need a lot of flounce.The skirt is shortest in the middle in front,longest in the middle at the back.I’ll need 2pieces each of a spiral pattern,the shorter one for the front,the longer for the back.Each piece will be one quarter of the dropped waist measurement,so the radius for each piece is based on this figure.Because of your website I know how to calculate the radius of each piece – until I realised I need seam allowance to join the 4pieces! 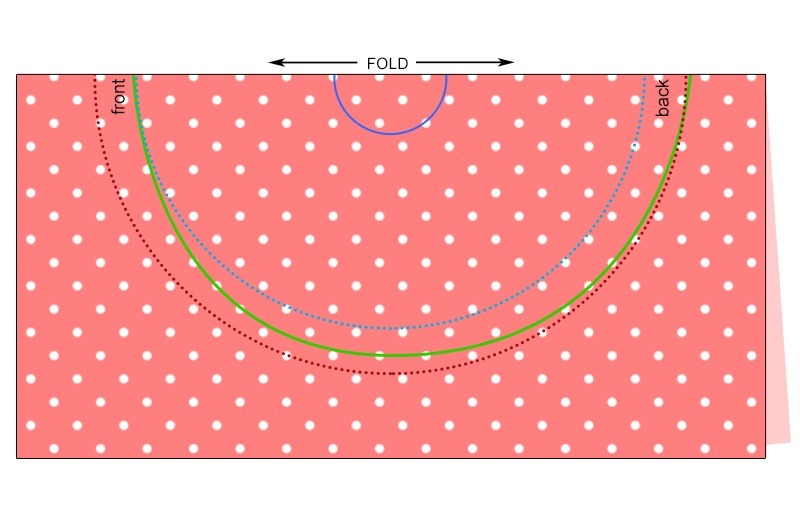 Please will you explain how to factor in seam allowance? (I was thinking maybe I need to add to the one quarter of the dropped waist measurement before working out the radius-is that totally off? )Thank you! Exactly right. When cutting more than one circle for the “extra flounce” effect, I don’t subtract anything to account for bias. Instead, I let that serve as the seam allowance. It might require a bit of adjustment when it comes to the size of the seam allowance, but it probably would no matter what. All bias is not created equal, so unless you’re using the same fabric over and over, you’ll have to adjust on the fly anyway. I am so happy to have found you! Thank you so much for sharing your talent. I want to make a pleated circle skirt, so I was thinking that I might be able to take two full circles, each with the desired waist measurement,and sew them together like a normal double circle skirt. The waist would be twice the circumference needed, so I would then be able to pleat to the waistband. Does this sound like it would work, or do you have a better method? Thank you! Oh, I’m doing this for a Doctor Who cosplay. Is there a way to post a picture to show you the look that I’m trying to achieve? That would certainly work, but with the double fullness AND the pleats, it is going to be a very full/flouncey skirt… meaning that the pleats might get a little lost in all that fullness. I don’t know if that’s the intent or not? If you wanted more visible pleats, you could double your waist measurement and make a GIANT circle skirt that you then pleat down to size. It really depends on what look you’re going for. If you upload your photo to a site like tinypic, you can paste a link to it here. what about cutting a bigger circle for waistline and then adding gathers to fit the size like a kind of drindle ? will it bring more fuller effect alone like that or better to add another circle / half a circle rather to get an even fuller effect? It will absolutely make for a fuller skirt, but it won’t look the same as the “two circle” method. I wouldn’t say either one is better. They are just different. One of the benefits to a circle skirt in general is that there are no gathers. For the amount of volume you get, it makes for an exceptionally flat seam. If you were to try to get the same volume from just gathering a rectangular piece of fabric, you would have a very bulky seam. A circle skirt also has a different shape compared to a plain gathered skirt. Combining a circle skirt and a gathered skirt is an option with its own benefits. If your fabric was very sheer, the addition of gathers would give it more body and more presence. If your fabric is very expensive, it would be a way to add extra volume without doubling the yardage. 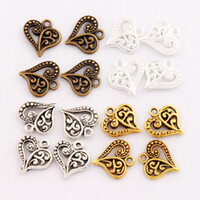 I have posted another question but I do not see it here. I wanted to ask , what roll bias plays in this. I saw a tutorial where a simple circle skirt was managed by cutting 4 quarters to sew together to make a circle again so that each piece is on bias – although fabric is enough for a complete circle but just to get all them on bias. I wanted to ask where to cut in 2 circle skirt case to join them, and secondly on which side the bias should hang . I saw somewhere how the gathers / volume of a skirt looks different when a the bias grin is at fron , when straight grain is at fron and when cross grain is at front. wanted to ask before just making expreriment. Hmm… I’ve never compared the flare/bias of a circle skirt made from 4 pieces to a circle skirt made from 1 piece. It might be that it would give it a little extra flounce around the hem. But the other thing it would help with is the hemming itself. Because the hem of a circle skirt will have portions that are with-grain, cross-grain, and on the bias, the hem does stretch (and not evenly). Generally you hang the skirt for a few days to allow it to stretch before trimming it even and hemming. But if you cut it in quarters that had the same grain/bias direction, then you would eliminated the issues of an “uneven” hem. I never considered that until you asked! With a 1 piece circle skirt, I prefer the straight grain at the front (I’m generally using stretch fabrics and prefer the least stretchy line in the center front and back). With a “double-full” circle skirt, I would cut along the straight grain and join the two pieces there. Again, for my purposes, I want the least amount of stretch along that seam. It offered , to cut either one full circle OR if the yardage was a little less than required for 2 circles , make instead one half circle and two quarter circles and combine them. I was thinking of applying it for 2 Circles that are comprised of some half and some quarter circles ( although I think it takes some more experienced tailoring as so many seems and so many bias would be there to deal with). Perhaps you would like to write something on that?? Thank you thank you thank you! I have had this beautiful Starry Night fabric for almost a year and been too afraid to do anything with it, because I loved it so much I didn’t want to mess it up. 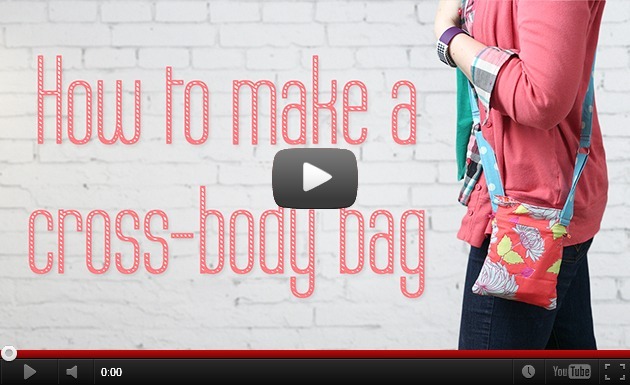 This pattern was exactly what I wanted to make and you made it super approachable. Now I can wear my favorite painting around anywhere! 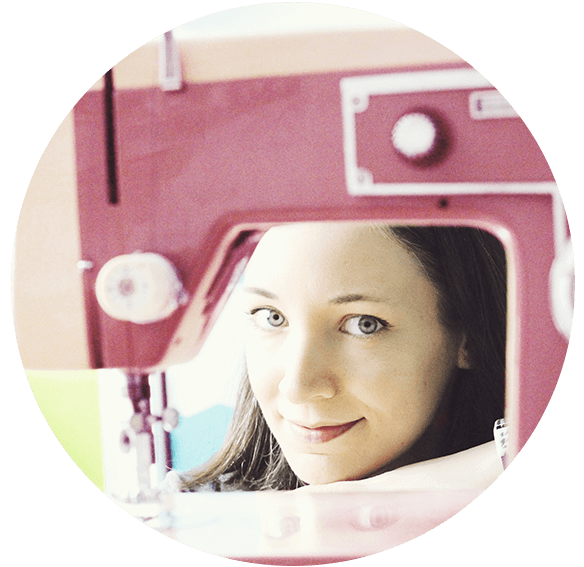 You are my new fave sewing maven!